Both Compaction and consolidation are responsible to cause a reduction in the volume of soil which is due to the compressibility characteristics of the soil. The differences between these two are tabulated below. Following are the differences between compaction and consolidation of soils. 1 Compaction is the compression of soil by the expulsion of air from the voids of the soil. Consolidation is the compression of soil by the expulsion of water from voids of the soil. 2 It is a quick process. It is a slow process. 3 Short term loading is required Long term loading is required. 4 Loading is applied in a dynamic way. Loading is static and constant. 5 Any type of soil either it is cohesion or Cohesionless can be compacted. Consolidation applies to cohesive soils only especially for low permeable clay. 6 Degree of saturation of soil to be compacted should be less than 100%. Degree of saturation of soil to be consolidated should be 100%. 7 Shear strength of soil increases. Shear strength of soil increases. 8 Void ratio, compressibility and permeability decreases. Void ratio, compressibility and permeability decreases. 9 Bearing capacity and settlement characteristics improve. Bearing capacity and settlement characteristics improve. 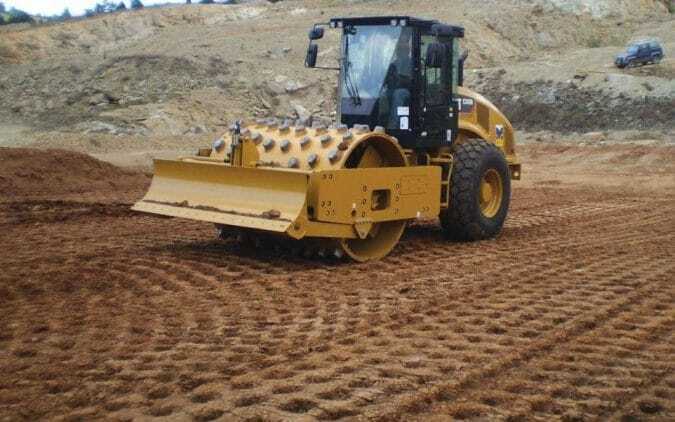 10 Compaction is done purposely in order to get maximum dry density of soil. Consolidation of soil occurs naturally due to structural loads from foundations. 11 It is done before the construction of structure. It begins naturally along with the construction work. 12 To construct roads, earthen dams, embankments etc. compaction is useful. The foundation soil properties will improve over long period due to consolidation.